Summary: Mrs. Shivani Sanpui, submissive Hindu housewife living in village: Tentultala, P.S. Basanti, District: 24 Paraganas (South) has been repressed by Muslim radicals severely. When she along with her husband went to the local police station, they were not snubbed there outright only but the Muslim police sub-inspector also tortured her severely for daring to protest against Islamists. Shivani is not a single individual but does represent tens of thousands of Hindu women, becoming victims to lust of Muslim radicals more and more. 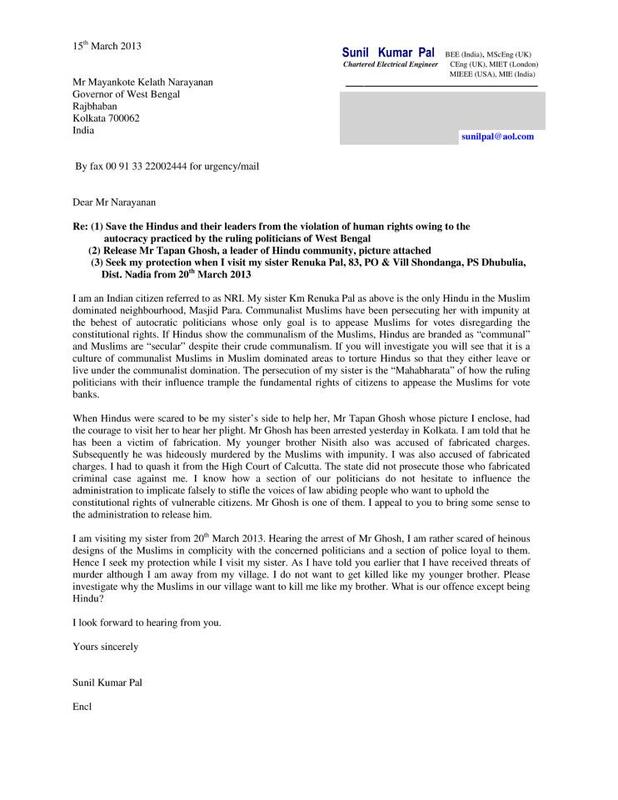 No human rights organization has turned up yet to defend her and fight against Islamic, police injustices yet. Situation in Bangladesh is becoming worse from bad with each day it passes and owing to vulnerability of reigning Awami League-government there (owing to an assortment of factors – both internal and external), clamor of Islamists is being heard more and more. Not the fate of minority communities like Hindu is in dark there only but the destiny of Bangladesh altogether is doomed also. The contemporary developments in Bangladesh evidence how true he was. A time comes when remaining idle is not considered as cowardice only but a betrayal to the greater causes, especially when the existence of particular community is at stake. 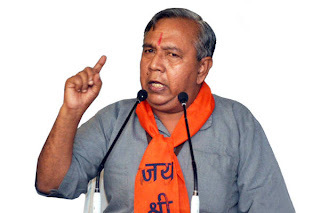 The rejections of bail pleas of Tapan Ghosh, president – Hindu Samhati, following his unethical arrest on March 14, 2013, on flimsy grounds make the presence of a brutal gambit (under the aegis of administration) behind it apparent. On every day, fragile causes to cancel the petitions are brought to the fore and that the main intention behind the scene is to delay his detention as far as possible gets evident. Can Bengal take on this new Islamic fundamentalism? Successive rejections of bail pleas of Tapan Ghosh, president – Hindu Samhati, stemming from a heinous gambit (outright political) to contain the insubordinate Hindu views (on the rise) have made the administration and secular political forum (cutting across political lines) elated but we, commoners in the Indian state of Bengal, find a grave danger in it. Administration, hell-bent to subdue Hindus, is neglecting the state’s security badly and with each day it passes, every development imperils the same saga. The Shahbag struggle in the realm of Bangladesh has led to a political crisis in that country, unparalleled in every capacity. The reigning mindset of populace and Bangladesh government have made Islamists there panic-stricken and the fright that Jamaat-e-Islami may be outlawed have left only option before them – to intrude on the land of India, find out a safe haven there with the help of local Islamists and remain here till everything in Bangladesh gets normal. 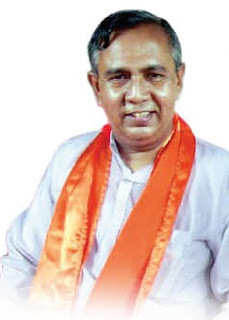 TAPAN Ghosh, leader of a Hindu outfit, Hindu Samhati, was arrested again on late Saturday evening moments after he was released on bail in connection with an incident of violent protests in South 24-Parganas on February 20. Supporter of the outfit had held a road blockade at Kultali to protest the violence at Canning on February 18. During the agitation, his supporters had attacked the police and few police personnel were injured. Police had lodged a FIR against 37 persons, including Ghosh, and arrested 23 people. On Friday, he was granted bail by the District Judge court at Alipore, and on Saturday evening as he was about to be released, police arrested him again in connection with an incident that took place at Gopalnagar in North 24-Parganas on October 27,2012 when his supporters allegedly attacked police during a protest roadblock. He has now been lodged at Alipore jail. Dashing hopes of founding fathers of Constitution of India to create a sovereign, secular, democratic republic in truest sense, UPA Government, craving wholehearted Muslim support for its continuance, is all set to launch special courts for Muslims youths (in particular) accused of an assortment of offences, this includes terror-related charges as well. The news was confirmed by none other than Mr. K Rahman Khan, Hon’ble Minister for Minority Affairs, in New Delhi recently. According to the Minister, his ministry all alone had solicited the Union Home Ministry in February 2013 of "cases against Muslim youth who have been arrested should be reviewed. We had also specified that special courts should be made for them". Summary: It’s no secret any more that Nehru’s allegiance to India during the freedom struggle was not dubious but detrimental; he not only tried to exploit the nationwide emotion for his own footing but tried to be complacent at each time through ceding Hindu interest to Islamists also. His nefarious activity came forth once more during the Hyderabad crisis in 1948 when he tried to thwart each and every approach made by Sardar Vallabhbhai Patel to free the very state from the clutches of Nizam and to retain it within the Union of India. Blame the Person Before You Shoot! 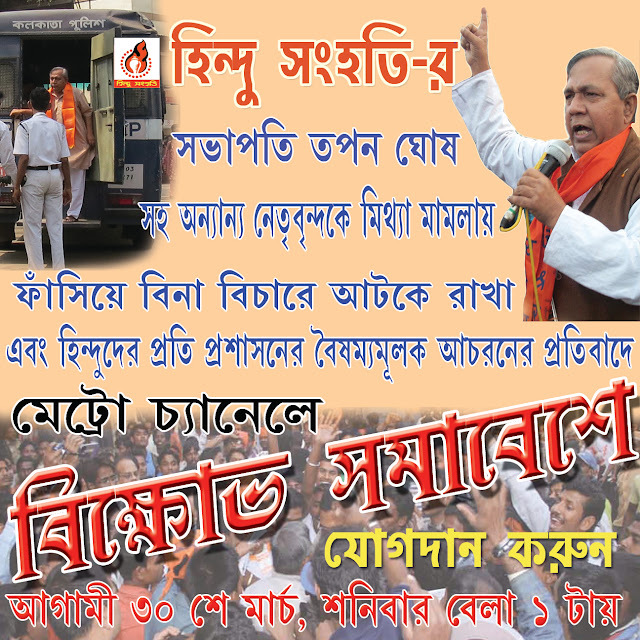 Granting bail to Tapan Ghosh, president – Hindu Samhati, arrested on March 14, 2013, by Hon’ble Dist. & Session Judge in the Judges Court in Alipore, on March 22, 2013, made Hindus buoyant that his final release (accordingly) on March 23, 2013 (today itself) would add a new chapter to the glorious and valiant Hindu struggle. But dashing all such hopes the last citadel of Hindu struggle in Bengal has been put behind bars once more and according to fresh reports that are coming in, Tapan da has been sent to jail custody again in relation to Case No. 410/12 of P.S. Gopalnagar. He is confined at Alipore Central Jail at the moment. Summary: Riot between Buddhists and Muslims is set to devastate Myanmar once more and like the earlier occasions, at this time too, Buddhists refuse to give in to Islamists. No matter what the intensity of violence is, it’s getting clear that animosity between Muslims and others is on the rise across the globe. Peaceful Buddhists, outraged by series of onslaughts led by Muslim radicals and backed by global Jehadi network, have turned out to be warriors. Even if the most ardent follower of Tapan Ghosh, president – Hindu Samhati, considered his arrest on March 14, 2013 as part of a routine exercise of Bengal administration to harass Hindu Samhati for a few days only, skepticism also reigned supremely as the arrest was on a flimsy ground and the administration’s insensate posture added fuel to it. Now, the worst apprehensions are coming to be true – Tapan da was arrested to curb his growing influence on Hindus across the state and thus to minify the confidence of Hindus in Bengal on Hindu Samhati, considered as their sole representative these days. The question remains whether administration in Bengal is following the same maneuver to curb influences of others, especially Islamists, too. And the answer, contrary to expectations of citizens of Bengal, is no. Summary: Whether it’s India or Myanmar; whether it’s Hindus or Buddhists, Muslims can’t live anywhere or with anyone peacefully and the new Muslim-Buddhist conflict in Myanmar establishes this notion once more. Whether it’s a petty row over pin or elephant, the Muslim mind believes that victory must be with them finally and any exception to it infuriates them leading to a bloody conflict with others. The Muslim mind has not changed yet and there is little hope that it will change ever. And till that surprising development takes place, battles of Muslims against others will go on. Illegal Bangladeshi Muslim immigrants, complacent with the surrender of Bengal government to Muslim radicals, remained as accomplices to crimes conducted by resident Islamists till the other day. But time is changing fast and they, being stimulated by successive Muslim appeasements, are no longer ready to remain as docile. They, all alone, are carrying out all felonious jobs now and their target – as always – remains same – the Hindus. Amal Mazumdar (age 28), young Hindu individual inhabiting Bagha Jatin Para at Shantipur, District: Nadia, works under a contractor at Srirampur and got acquainted with Soleman Mistry, a Muslim youth from neighboring Bangladesh, a few months back. According to sources, Amal owed Rs. 10, 000 to Soleman but due to unavoidable reasons was failing to repay the loan repeatedly. As per Pinki Mazaumdar, Amal’s wife, Soleman was threatening Amal with dire consequences through telephone for weeks. The Calcutta High Court on Thursday directed the state government to file a report within four weeks on the violence which broke out in Canning, South 24-Parganas last month. A Public Interest Litigation was filed alleging that about 2,000 people were rendered homeless and were passing the days in several schools after the incident. As many as 126 houses and 22 shops were gutted during the violence. The state government did not take any effective steps to rehabilitate them, it alleged, praying to the high court to direct the state to pay compensation to the victim families. Summary: Whatever may be the clamor of secular forces and their hope of emergence of a new Bangladesh, brushing aside all decade-old agonies and finally hailing the noble spirit of secularism, Hindus, across the country, have become sole victims of the Shahbag movement. And except mere words there is none to wipe out their tears, compensate their losses and instill confidence in them that Bangladesh does belong to Hindus as well. The situation in the Indian state of Bengal is no different and the onslaught of Muslim radicals in village: Naliakhali, P.S. Canning of late happens to be the best evidence. The saga of Islamic assault spread far and wide engulfing the whole of Jalaberia, P.S. Kultali, District: 24 Paraganas (South) from February 18, 2013; however the Hindu defence to it became too unbearable for the police and administration leading to the unethical arrest of Tapan Ghosh, president – Hindu Samhati, on March 14, 2013. The West Bengal Panchayat elections, slated to be held in April or May this year, seem to have unleashed a fresh round of minority appeasement, with the sudden arrest of Hindu rights crusader Tapan Ghosh on March 14. The event appears to be a follow-up of last month’s violence against the Hindu community in South 24 Parganas, in which 200 Hindu homes were destroyed across four villages, the temple burnt, and several shops gutted, after a maulvi was robbed and murdered on the adjacent highway by unknown persons on February 19. The attack on innocent Hindus was premeditated as assailants armed with petrol bombs and arms descended in trucks from distant Kolkata suburbs; no arrests have been made till date. Instead, the State managed a complete media blackout of the violence; showered Rs. 3 lakh compensation on the murdered man’s family, and doled out a mere Rs. 10,000/- each for the gutted Hindu homesteads. 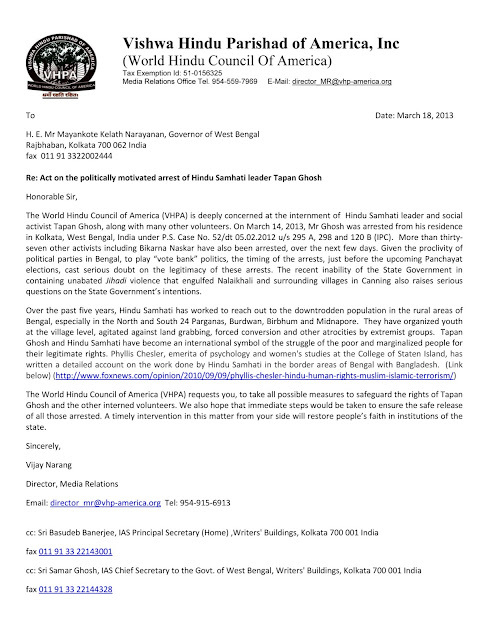 Hindu Mahasabha of America (HMSA) Condemns Arrest of Hindu Samhati activists and Shri Tapan Ghosh in Kolkata, West Bengal, India. It’s not any other day when Hindus can get busy with their usual activities; it’s a day to protest against the unethical arrest of Tapan Ghosh, president – Hindu Samhati, ardently and make the government realize the fast changing dimension of Hindus in Bengal. 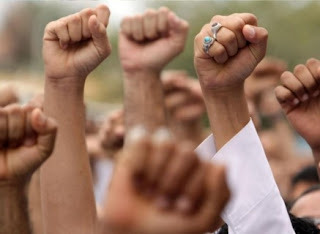 Gone are the days when Hindus considered that law-abiding yet brawny protests would create the magic – good sense would prevail upon administration and it would rectify the wrong happening to Hindus, consequently. It’s a different age altogether when peaceful protests fail to deliver anything needful; it’s an age when muscularity is held in highest esteem and all these make political arena give in to radical Muslims. Centuries of agonies have made Hindus realize that only struggle and not any grace of divinity can help them to create their own destiny. Divine blessings are showered on competent warriors and not on losers. 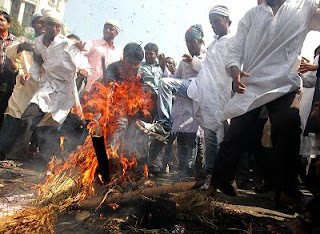 There is no choice left anymore for Hindus – struggle and emerge victorious or be perished. The unethical, vengeful arrest of Tapan Ghosh, president – Hindu Samhati, and the trenchant political highhandedness behind the (entire) vicious design to defame, subdue a law-abiding yet emphatic Hindu voice has stirred up a hornet’s net in several areas of Bengal. Once the news of arresting president, Hindu Samhati reached different regions, Hindus there burst into protest censuring the vindictiveness of police and administration to curb Hindu forces severely. An assortment of protests, under the aegis of general Hindus, was witnessed in railway stations along with public roads. Hindu Samhati activists, backed by local Hindus in hundreds, barged into several areas, blocked off railway tracks and roads for hours. To inhibit the mounting strength of Hindu struggle across Bengal, voicing protestation against rising onslaughts of radical Muslims and awful surrender of indigenous administration to it, Sri Tapan Ghosh, president of Hindu Samhati and also the foremost citadel of Hindu defence in Bengal, has been put behind bars on flimsy ground, stemming from vindictiveness of establishment. Today, March 14, 2013, around 9.30 am, Sri Ghosh was arrested by P.S. Muchipara, Kolkata, to give final expression to the FIR lodged in P.S. Kultali, District: 24 Paraganas (South) on February 20, 2013, regarding the ghastly incident of Jalaberia where strangely Hindus became the worst victims of coordinated oppressions, launched by Islamists and local police. Nimichi, a village falling under the jurisdiction of P.S. Minakha, Block: Minakha, District: 24 Paraganas (North), happens to be an insignificant one but unlike others has the courage to take on radical Muslims whenever necessary. The whole village and its vicinity, at the moment, is tense owing to the defiance showed by Hindu youths to halt a recently held Islamic Milad at Nimichi RamNarayan School for obvious reasons but it will be wrong to decipher the Hindu-Muslim conflict as a recent and abrupt development only. Chiranjit Samanta (age 28), Hindu individual living in village: Bhadura, P.S. Ramnagar, District: 24 Paraganas (South), Diamond Harbor area, and also a minor cable service operator, has become the latest victim of wrath of radical Muslims. It has been learnt, apart from his own village: Bhadura, Chiranjit conducts his business in the neighboring village of Shakarparulia, dominated by Muslims, as well. Mithu Sheikh, a Muslim individual living in Shakarparulia, was not paying Chiranjit (Rs. 1, 000) for months and whenever Chiranjit asked him for the payment Mithu preferred to snub him. Finding no other option, Chiranjit discontinued cable services to Mithu Sheikh ‘s residence making him and his compatriots furious. Considering the act of Chiranjit as a deliberate insult to Muslims by a Kafir, Islamists, on March 11, 2013, barged into his shop at Bhadura, thrashed Chiranjit mercilessly and also destructed his office.